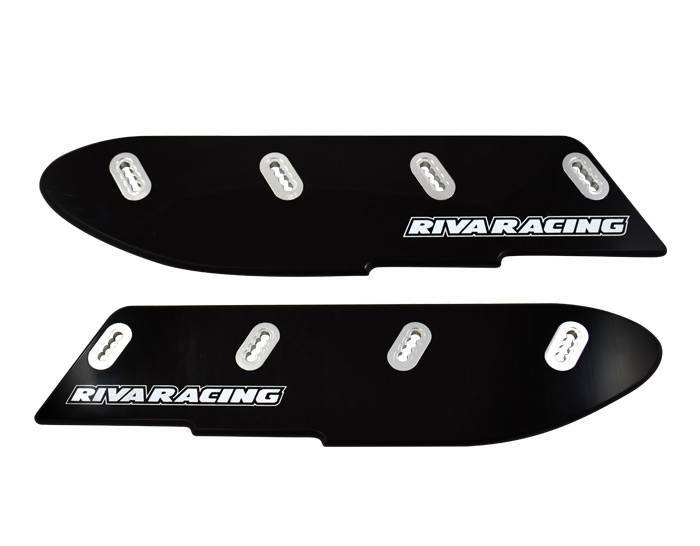 Our race proven Pro-Series Sponsons will dramatically improve the handling of your Yamaha EX/EXR with their superior fin & backing plate design. Includes a bulletproof mounting system that features billet aluminum backing plates and four anchor points with aluminum inserts in sponson fins. Fin depth is adjustable to control the amount of influence they have on the craft. Easy installation uses original mounting studs. Includes all necessary hardware and installation instructions. Tune handling with 4 adjustable mounting positions for fins. High strength fin material and aluminum mounting inserts.